Through its network of institutions, web pages etc, ISBM provides you with access to a variety of resources, including management courses, tools, communication forums and information on ISBM's operational areas (collectively "Management Services"). The Management Services, including any new courses, updates, enhancements, new operations, and/or the addition of any new Web pages or properties, are subject to the LTOU. Unless otherwise specified, the Management Services are for your personal and non-commercial use. You may not modify, copy, distribute, transmit, display, perform, reproduce, publish, license, create derivative works from, transfer, or sell any Information, Service, or Products obtained from the Management Services. Information that you provide through our website is not secure and can be shared with any party (first, second, third or more). Your personal details are tracked the moment you visit ISBM website. This includes your IP address, caller id (phone number) wherever available, search terms entered into various ISBM search engines etc. The web pages that you visit under the ISBM web site are carefully tracked and monitored to provide us with statistical and investigative details. Disabling the cookie function or in your computer or other similar attempts will not stop the tracking exercise as the same is done through various technologies. ISBM is not responsible for privacy practices of other linked web sites or web pages. ISBM is not responsible for the contents put on any of its own web sites by the web master. None of the information provided on the web site may be held against or for ISBM. In accordance with the Digital Millennium Copyright Act ("DMCA"), Pub. L. 105-304, ISBM has designated an agent to receive notification of alleged copyright infringement occurring in the www.ISBM.org.in domain. If you believe that your copyrighted work is being infringed, notify our designated agent specified below. Please note, this agent is for reporting of copyright infringement. However, requests for copyright permission can also be directed to the same agent. NOTICE SPECIFIC TO MANAGEMENT SERVICES AVAILABLE ON THIS WEB SITE OR OUTSIDE THIS WEB SITE. Any Management Service that is made available by ISBM is the copyrighted work of ISBM and/or its suppliers. Use of the Management Services is governed by the terms of the contractual agreement, if any, which accompanies or is included with the Management Service Agreement. A client (corporations, students or others) of ISBM will be unable to use any Management Service that is accompanied by or includes a Contractual Agreement, unless he or she first agrees to the Management Services Agreement terms. The Management Service is made available for use solely for use by clients according to the Management Services Agreement. Any reproduction or redistribution of the Management Service not in accordance with the Management Services Agreement is expressly prohibited by law, and may result in severe civil and criminal penalties. Violators will be prosecuted to the maximum extent possible. WITHOUT LIMITING THE FOREGOING, USAGE, COPYING OR REPRODUCTION OF THE WEB PAGES TO ANY OTHER SERVER OR LOCATION FOR FURTHER REPRODUCTION OR REDISTRIBUTION IS EXPRESSLY PROHIBITED, UNLESS SUCH REPRODUCTION OR REDISTRIBUTION IS EXPRESSLY PERMITTED BY AN ACCOMPANYING MANAGEMENT SERVICES AGREEMENT. THE MANAGEMENT SERVICES ARE WARRANTED, IF AT ALL, ONLY ACCORDING TO THE TERMS OF THE MANAGEMENT SERVICES AGREEMENT. EXCEPT AS WARRANTED IN THE MANAGEMENT SERVICES AGREEMENT, ISBM HEREBY DISCLAIMS ALL WARRANTIES AND CONDITIONS WITH REGARD TO THE MANAGEMENT SERVICES, INCLUDING ALL WARRANTIES AND CONDITIONS OF MERCHANTABILITY, WHETHER EXPRESS, IMPLIED OR STATUTORY, FITNESS FOR A PARTICULAR PURPOSE, TITLE AND NON-INFRINGEMENT. ISBM DOES NOT MAKE ANY ASSURANCES WITH REGARD TO THE ACCURACY OF THE RESULTS OR OUTPUT THAT DERIVES FROM SUCH USE OF ANY SUCH COURSES, TRAINING PROGRAMMES, RESEARCH TOOLS, UTILITIES OR ANY OTHER SET OF SERVICES OR PRODUCTS. PLEASE RESPECT THE INTELLECTUAL PROPERTY RIGHTS OF OTHERS WHEN USING THE COURSES, TRAINING PROGRAMMES, RESEARCH TOOLS, UTILITIES OR ANY OTHER SET OF SERVICES OR PRODUCTS MADE AVAILABLE IN THE GAMUT OF ISBM MANAGEMENT SERVICES. Permission to use Documents (such as white papers, press releases, datasheets and FAQs) from this Web Site is granted, provided that express written permission is taken from the Copyright Infringement and Permission Agent whose details are given in the relevant paragraph above. Further, the following points need to be necessarily adhered to: (1) the below copyright notice appears in all copies and that both the copyright notice and this permission notice appear, (2) use of such Documents from the Web Site is for informational and non-commercial or use only and will not be copied or posted on any network computer or broadcast in any media, and (3) no modifications of any Documents are made. Accredited educational institutions, such as K-12, universities, private/public colleges, and state community colleges, may use and reproduce the Documents for distribution in the classroom. Use for any other purpose is expressly prohibited by law, and may result in severe civil and criminal penalties. Violators will be prosecuted to the maximum extent possible. Documents specified above do not include the design or layout of the ISBM.edu Web site or any other ISBM owned, operated, licensed or controlled site. Elements of ISBM Web sites are protected by trade dress, trademark, unfair competition, and other laws and may not be copied or imitated in whole or in part. No logo, graphic, sound or image from any ISBM Web site may be copied or retransmitted unless expressly permitted by ISBM. ISBM AND/OR ITS RESPECTIVE SUPPLIERS MAKE NO REPRESENTATIONS ABOUT THE SUITABILITY OF THE INFORMATION CONTAINED IN THE DOCUMENTS AND RELATED GRAPHICS PUBLISHED AS PART OF THE WEB SITE OR AVAILABLE AND PROCURED IN ANY OTHER MANNER FOR ANY PURPOSE. ALL SUCH DOCUMENTS AND RELATED GRAPHICS ARE PROVIDED "AS IS" WITHOUT WARRANTY OF ANY KIND. ISBM AND/OR ITS RESPECTIVE SUPPLIERS HEREBY DISCLAIM ALL WARRANTIES AND CONDITIONS WITH REGARD TO THIS INFORMATION, INCLUDING ALL WARRANTIES AND CONDITIONS OF MERCHANTABILITY, WHETHER EXPRESS, IMPLIED OR STATUTORY, FITNESS FOR A PARTICULAR PURPOSE, TITLE AND NON-INFRINGEMENT. IN NO EVENT SHALL ISBM AND/OR ITS RESPECTIVE SUPPLIERS BE LIABLE FOR ANY SPECIAL, INDIRECT OR CONSEQUENTIAL DAMAGES OR ANY DAMAGES WHATSOEVER RESULTING FROM LOSS OF USE, DATA OR PROFITS, WHETHER IN AN ACTION OF CONTRACT, NEGLIGENCE OR OTHER TORTIOUS ACTION, ARISING OUT OF OR IN CONNECTION WITH THE USE OR PERFORMANCE OF INFORMATION AVAILABLE FROM THE WEB SITE OR AVAILABLE AND PROCURED IN ANY OTHER MANNER. THE DOCUMENTS AND RELATED GRAPHICS PUBLISHED ON THE WEB SITE COULD INCLUDE TECHNICAL INACCURACIES OR TYPOGRAPHICAL ERRORS. CHANGES ARE PERIODICALLY ADDED TO THE INFORMATION HEREIN. ISBM AND/OR ITS RESPECTIVE SUPPLIERS MAY MAKE IMPROVEMENTS AND/OR CHANGES IN THE PRODUCT(S) AND/OR THE COURSES AND/OR THE PROGRAM(S) DESCRIBED HEREIN AT ANY TIME. NOTICES REGARDING WEB SITE, DOCUMENTS AND MANAGEMENT SERVICES AVAILABLE ON THIS WEB SITE. IN NO EVENT SHALL ISBM AND/OR ITS RESPECTIVE SUPPLIERS BE LIABLE FOR ANY SPECIAL, INDIRECT OR CONSEQUENTIAL DAMAGES OR ANY DAMAGES WHATSOEVER RESULTING FROM LOSS OF USE, DATA OR PROFITS, WHETHER IN AN ACTION OF CONTRACT, NEGLIGENCE OR OTHER TORTIOUS ACTION, ARISING OUT OF OR IN CONNECTION WITH THE USE OR PERFORMANCE OF MANAGEMENT SERVICES, DOCUMENTS, PROVISION OF OR FAILURE TO PROVIDE MANAGEMENT SERVICES, OR INFORMATION AVAILABLE FROM THE WEB SITE OR AVAILABLE AND PROCURED IN ANY OTHER MANNER. If any of the Management Services or web pages requires you to open an account, you must complete the registration process by providing us with current, complete and accurate information as prompted by the applicable registration form. You also might/will choose a password and a user name. You are entirely responsible for maintaining the confidentiality of your password and account. Furthermore, you are entirely responsible for any and all activities that occur under your account. You agree to notify ISBM immediately of any unauthorized use of your account or any other breach of security. ISBM will not be liable for any loss that you may incur as a result of someone else using your password or account, either with or without your knowledge. However, you could be held liable for losses incurred by ISBM or another party due to someone else using your account or password. You may not use anyone else's account at any time, without the permission of the account holder. As a condition of your use of the web site and/or ISBM's Management Services, you will not use the web site or Management Services for any purpose that is unlawful or prohibited by these terms, conditions, and notices. You may not use the web site or Management Services in any manner that could damage, disable, overburden, or impair any ISBM server, or the network(s) connected to any ISBM server, or interfere with any other party's use and enjoyment of any web site or Management Services. You may not attempt to gain unauthorized access to any web site or Management Services, other accounts, computer systems or networks connected to any ISBM server or to any of the web pages, through hacking, password mining or any other means. You may not obtain or attempt to obtain any materials or information through any means not intentionally made available through the web site. All the degrees that are offered by ISBM are in direct collaboration with foreign universities and hence these degrees do not fall under the purview of AICTE, AIU and UGC. These degrees are not supposed to be considered as equivalent or similar to degrees offered by Indian Universities and recognized institutions. Furthermore, ISBM does not guarantee any kind of placements. Registering into any course or programme of ISBM does not guarantee any kind of placements for any participant or student. Participants and students should be very clear about the fact that the placement service that ISBM provides is an ex-gratia service and is not part of the promised deliverables of ISBM. Participants and students of any course at ISBM anywhere in the world shall save ISBM harmless of any right or liability that might seem to arise from these mentioned items of recognition (by any Indian association) and placements. Use the Communication Management Services in connection with surveys, contests, pyramid schemes, chain letters, junk email, spamming or any duplicative or unsolicited messages (commercial or otherwise). Upload, or otherwise make available, files that contain images, photographs, web pages or other material protected by intellectual property laws, including, by way of example, and not as limitation, copyright or trademark laws (or by rights of privacy or publicity) unless you own or control the rights thereto or have received all necessary consent to do the same from ISBM and the other party or parties. Use any material or information, including images or photographs, which are made available through the web pages in any manner that infringes any copyright, trademark, patent, trade secret, or other proprietary right of any party. Upload files that contain viruses, Trojan horses, worms, time bombs, cancelbots, corrupted files, or any other similar web page or programs that may damage the operation of another's computer or property of another. Advertise or offer to sell or buy any Goods or Management Services for any business purpose, unless such Communication Management Services specifically allows such messages. Use any file posted by another user of a Communication Management Service that you know, or reasonably should know, cannot be legally reproduced, displayed, performed, and/or distributed in such manner. Falsify or delete any copyright management information, such as author attributions, legal or other proper notices or proprietary designations or labels of the origin or source of Management Service or other material contained in a file that is uploaded. Restrict or inhibit any other user from using and enjoying the Communication Management Services. Violate any code of conduct or other guidelines which may be applicable for any particular Communication Management Service. Use or otherwise copy, or provide (whether or not for a fee) to a person or entity any directory of users of the Management Services or other user or usage information or any portion thereof. ISBM has no obligation to monitor the Communication Management Services. However, ISBM reserves the right to review materials posted to the Communication Management Services and to remove any materials in its sole discretion. ISBM reserves the right to terminate your access to any or all of the Communication Management Services at any time, without notice, for any reason whatsoever. ISBM reserves the right at all times to disclose any information as ISBM deems necessary to satisfy any applicable law, regulation, legal process or governmental request, or to edit, refuse to post or to remove any information or materials, in whole or in part, in ISBM's sole discretion. Always use caution when giving out any personally identifiable information about yourself or your children in any Communication Management Services. ISBM does not control or endorse the content, messages or information found in any Communication Management Services and, therefore, ISBM specifically disclaims any liability with regard to the Communication Management Services and any actions resulting from your participation in any Communication Management Services. Managers and hosts are not authorized ISBM spokespersons, and their views do not necessarily reflect those of ISBM. Materials uploaded to the Communication Management Services may be subject to posted limitations on usage, reproduction and/or dissemination; you are responsible for adhering to such limitations if you use the materials. MATERIALS PROVIDED TO ISBM OR POSTED AT ANY ISBM WEB SITE. ISBM does not claim ownership of the materials you provide to ISBM (including feedback and suggestions) or post, upload, input or submit to any Management Services or its associated Management Services for review by the general public, or by the members of any public or private community, (each a "Submission" and collectively "Submissions"). However, by posting, uploading, inputting, providing or submitting ("Posting") your Submission you are granting ISBM, its affiliated companies and necessary sublicensees permission to use your Submission in connection with the operation of their Internet businesses (including, without limitation, all ISBM Management Services), including, without limitation, the license rights to: copy, distribute, transmit, publicly display, publicly perform, reproduce, edit, translate and reformat your Submission; to publish or not to publish your name in connection with your Submission; and the right to sublicense such rights to any supplier of the Management Services. No compensation will be paid with respect to the use of your Submission, as provided herein. ISBM is under no obligation to post or use any Submission you may provide and ISBM may remove any Submission at any time in its sole discretion. THE LINKS IN THIS AREA WILL LET YOU LEAVE ISBM'S SITE. THE LINKED SITES ARE NOT UNDER THE CONTROL OF ISBM AND ISBM IS NOT RESPONSIBLE FOR THE CONTENTS OF ANY LINKED SITE OR ANY LINK CONTAINED IN A LINKED SITE, OR ANY CHANGES OR UPDATES TO SUCH SITES. ISBM IS NOT RESPONSIBLE FOR WEBCASTING OR ANY OTHER FORM OF TRANSMISSION RECEIVED FROM ANY LINKED SITE. ISBM IS PROVIDING THESE LINKS TO YOU ONLY AS A CONVENIENCE, AND THE INCLUSION OF ANY LINK DOES NOT IMPLY ENDORSEMENT BY ISBM OF THE SITE. ISBM OR ANY OF ITS EMPLOYEES DO NOT ACCEPT OR CONSIDER UNSOLICITED IDEAS, INCLUDING IDEAS FOR NEW ADVERTISING CAMPAIGNS, NEW PROMOTIONS, NEW PRODUCTS OR TECHNOLOGIES, PROCESSES, MATERIALS, MARKETING PLANS OR NEW PRODUCT NAMES. PLEASE DO NOT SEND ANY ORIGINAL CREATIVE ARTWORK, SAMPLES, DEMOS, OR OTHER WORKS. 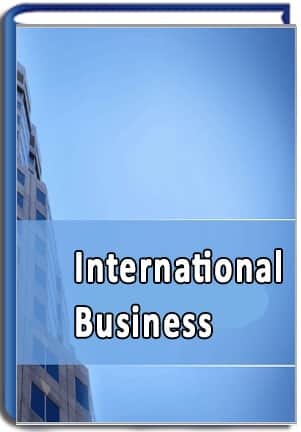 THE SOLE PURPOSE OF THIS POLICY IS TO AVOID POTENTIAL MISUNDERSTANDINGS OR DISPUTES WHEN ISBM'S PRODUCTS OR MARKETING STRATEGIES MIGHT SEEM SIMILAR TO IDEAS SUBMITTED TO ISBM. SO, PLEASE DO NOT SEND YOUR UNSOLICITED IDEAS TO ISBM OR ANYONE AT ISBM. IF, DESPITE OUR REQUEST THAT YOU NOT SEND US YOUR IDEAS AND MATERIALS, YOU STILL SEND THEM, PLEASE UNDERSTAND THAT ISBM MAKES NO ASSURANCES THAT YOUR IDEAS AND MATERIALS WILL BE TREATED AS CONFIDENTIAL OR PROPRIETARY. TRADEMARKS. Planman, ISBM, ICPAR, ICMR, HRIC, Theory I, GIDF, Survival of the Weakest, and/or other ISBM products referenced anywhere within the web site or associated sites herein are either registered trademarks or trademarks of ISBM and Planman in India and/or other countries. The names of actual companies and products mentioned herein may be the trademarks of their respective owners. The example companies, organizations, products, domain names, email addresses, logos, people and events depicted herein are fictitious. No association with any real company, organization, product, domain name, e-mail address, logo, person, or event is intended or should be inferred, unless otherwise specified. Send your questions to the appropriate contact by visiting the page titled Contacts.